By combining traditional references with a superb understanding of modern fit and construction, Simon Spurr always creates interesting and stylish clothes. This trench coat is a case in point. 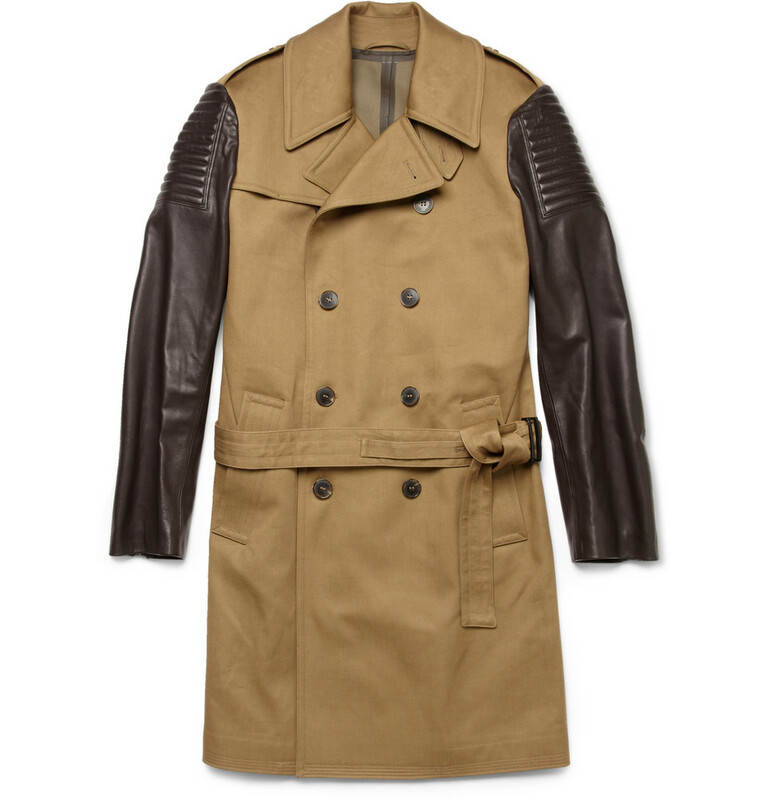 It has a cotton-twill body with contrasting leather biker-style sleeves, giving a classic piece new energy ($3,000).